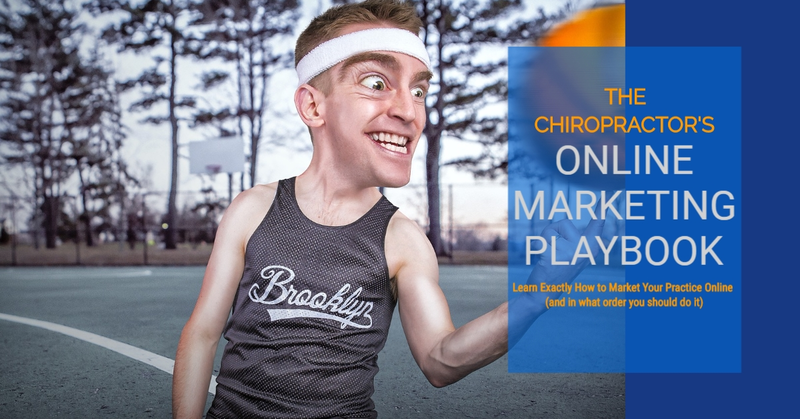 Chapter 2: Your Digital Stack: What kind of Online Marketing should Chiropractic Offices spend their money on (and in what order)? Chapter 4: Your Facebook Page and Why it’s Extremely Important. Chapter 5: Using a “Newsletter” to Get More Business from Existing Customers. Before we dive in, I want to say how excited that I am that you’re reading this playbook. Creating this was a labor of love and I hope it helps you to grow your business in the same way I’ve been able to help so many of my clients. 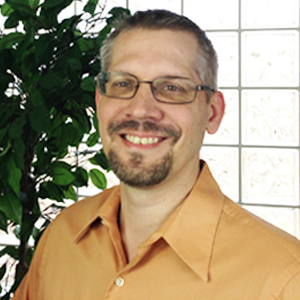 My name is Jon Nare and I got into Digital Marketing because I got tired of seeing business owners get taken advantage of by marketing sales people just trying to make a commission. Over the last few years, I have made it my mission to become an expert in helping brick and mortar businesses grow using Digital Marketing. I’ve spent countless hours learning and testing just about every digital marketing technique under the sun. All that research and testing led me to what works, what doesn’t work, and what order you should do everything in to get the biggest bang for your buck. This “Playbook” will help you understand the techniques that you should be implementing in your business and how to be more informed when hiring someone to help you implement them. This guide isn’t meant to be consumed in one sitting. Bookmark this guide, read it in chunks, and come back anytime to keep learning more. Let’s get started with a 10,000 foot view of what you should be doing to market your business online and in what order. There are so many options out there when it comes to marketing your business online. With all those choices, it’s hard to know what the most effective ways to spend your business’ marketing dollars are. After years of working with businesses and helping them with their online marketing, I’ve compiled a ton of data that has lead me to know exactly what works and what doesn’t. Putting that data into practice has lead our clients to being extremely successful with their online marketing. Businesses that are successful marketing themselves online (and don’t overspend) have mastered something that we call the “Digital Stack“. This “Digital Stack” is a term that we came up with to describe the order that you should implement certain online marketing tactics so that you squeeze every dollar of value out of everything that you’re doing online. When you hear a business owner say that they failed using a certain type of marketing online, it is usually because they used a technique that didn’t have a good foundation. For example, it doesn’t make a lot of sense to run a Facebook Ad campaign to generate leads for a business if the business has a website and/or Facebook Page that doesn’t look great. This campaign typically fails because prospective customers like to do additional research when they see an offer on Facebook. If they see an offer, and then go look at a webpage or Facebook Page that looks like your nephew built it in 1995, that doesn’t make them want to actually claim the offer they saw on Facebook. I’ve seen a ton of business owners who have run a special offer with Facebook Ads (on their own) that ultimately failed at first due to them not having their “digital house in order”. In short, their brand looked terrible when people did just a little extra checking on them (because their website and Facebook page weren’t optimized). As you can see from the Infographic above, the order in which you decide to build your business’ digital marketing presence is important. Let’s walk through what techniques you should be implementing, the order you should be doing it in, and why. It’s important to understand what happens when a prospective customer hears about your business from a friend, a radio ad, the newspaper, or from any other place you might come up. First they’re going to head over to Google and they are going to check out your website. You need to make sure that your website is doing some key things and that it looks a certain way. We cover all of that here. Second (and sometimes first) people are going to type in the name of your business on Facebook and see what’s happening there. People go to your website to get basic information, they search for you on Facebook because they want to get a peak at “what is actually happening on the inside”. I cover more on why your Facebook page has to look great and must be active right here. Once you have a great website and have your Facebook page posting content daily, you officially have a foundation laid for your practice to start reaching out for more business through your digital assets. If you didn’t have the foundation laid, your lead generating activities (Facebook Ads and Email Newsletters) could fall flat when people did a little research on you, after seeing your ad or emails. With your foundation laid, you want to focus your attention on two “business driving” activities. One of the activities is designed to get more of your existing customers through the door (Email newsletters). The other is designed to get new prospects through the door (Facebook Ads). One of the easiest ways to get more money coming into your business is to get existing customers to come back in and spend more money for services or products that they need. So many business owners and managers forget this, but it’s as easy as sending a reminder via email. The secret is to make sure that your email newsletter is something that contains value in itself. I cover more on how to create an email that drives more income into your business right here. One of the easiest ways to reach the kinds of people that would be a perfect new customer is through the power of Facebook ads. Unfortunately, most businesses fail with Facebook Ads because they have no idea how to setup the kind of “sales funnel” that works well with this medium. I cover exactly how we successfully use Facebook ads with our clients right here. Once you have all the Foundation components (Website and Active Facebook Page) and are effectively driving more income generating business with things like Email Newsletters and Facebook Ads, it’s time to focus on the things that allow you to dominate your local marketing. These technique are a little more technical and take a little more time to implement properly, but allow you to be years ahead of your competition. We focus on two main “advanced strategies” to help our clients dominate their local markets. What if you could have a sales person out on Facebook 24 hours a day looking for people who need your services and reaching out to them with an offer that would get them to come in to your business? Facebook Messenger Bots are the next best thing (and they don’t ever sleep). We have had amazing success with Facebook Messenger Bots. You can see an example of how we use them right here. One of the most important digital marketing techniques (but one of the most misunderstood) is getting Google to fall in love with your business. Search Engine Optimization is a long term investment in your business, but it’s one that is important to make. I’ll show you exactly how we help our clients rank for those all important “business generating keywords” right here. The most important thing you can do when marketing your business on the Internet is creating a “home base” where people can learn about you and what you do. A great website should be the centerpiece of your digital marketing and all of your efforts should lead back to this site. One of the big mistakes that Brick and Mortar business owners make is thinking that Social Media sites like Facebook have replaced the need for a business website. While it’s true that your Facebook Page is extremely important, your website is still the first place people look for when they want to get more info on your business from the internet. Let’s talk about the 9 things every brick-and-mortar website must have. It’s not enough to just have a website these days. You have to have one that looks good and is easy to navigate. There is nothing worse than having a website that looks like it was designed in 1995 and hasn’t been touched since. Having an outdated website telegraphs that you and your staff don’t pay attention to details and don’t care about staying current. Whether it’s fair or not, this can shift the way they think that you operate inside of your business as well. People want to know who they will be dealing with when they decide to do business with you. It’s important for them to see your face and the faces of the people they’ll be dealing with once they come in. Putting your staff’s pictures on your website is a critical component to converting casual website visitors into paying customers. Today’s consumers typically don’t just look at your website when they are deciding whether or not to do business with you. Statistics show that consumers are overwhelmingly also using Facebook to look for your business. One of the most important parts of a great website (but most overlooked) is a piece of content that shows that you really know your craft. This content is usually educational in nature and may take the form of a blog post, email download, or digital book. We create these for our clients (because they usually don’t have time to do it themselves) and this very page is an example of the kind of content that proves your expertise in your field. We have a website, but this piece of content is the kind of thing that really helps people understand what we do and how we can help them. This one doesn’t apply to every business but is vitally important to those that it does. If you run a business that requires people to have an exam, take a test, or apply for credit, it’s important to share those documents on your website. A great example of this would be a Chiropractic clinic having their “new patient health history” forms on their website so that new customers could fill them out before their visit. No matter what page of your website someone happens to be on, they need a link to immediately start the process of doing business with you. This could be as simple as a link that says “call us now” (remember that a large percentage of people visiting your website will be viewing it on their mobile phones). Over the last few years, Facebook has taken steps that have made it harder for businesses to get their Facebook page’s content to show up in the news feeds of people who like their page. This was done because there were so many business pages and personal pages competing for space and it only made sense to lend more space in a person’s newsfeed to their personal relationships. And more specifically, people go to your website to see your “professional image”. They come to your Business’ Facebook page to get a sense of your “business personality’. Statistics show that people are overwhelmingly using Facebook as a “first hand source” of information about a business when they hear about them from a friend or from a more traditional marketing source (radio, tv, print, etc). With the above in mind, I’d like to show you what we do to help our clients stay ahead of their competition and to use their Facebook page to convert new business every single week. This Picture is going to be one of the key elements that people use to judge your business when they first land on your page or see something that you’ve promoted with a Facebook Ad (more on that soon). You need to make sure that it has your logo featured, looks professional, and isn’t overly complicated. Your page’s cover photo is a great place to showcase your staff, facility, or to give people a hint as to what your business is all about. Your staff may not be able to answer every message that gets sent to your Facebook page right away. Because of that, we setup a quick auto-response message on all of our client’s page that will let people know that we will answer their message soon, but to call the business at a certain number if they need help immediately. Remember, we are optimizing our page to help people find us when they use Facebook’s search box. This means that we need to pay special attention to how we fill out our business’ profile on Facebook. This is a great guide that will show you exactly what we do when we help a client with filling out their Business page profile. One of the most important things that you must do with your Facebook page is to make sure that it appears current and that it educates people about what you do. To appear current on Facebook (and to appeal to Facebook’s algorithms, you should be posting content 2x a day on your page. This is something that most of our client’s don’t have time to do, so we take over all of the content creation and posting duties for them. This is critical because it shows people who search for our page that the business is on top of things and paying attention to details. One of the easiest ways to make more money in your business is to get your existing customers to come back more often and to buy more services/products from you. The reason this is one of our favorite techniques is because it’s one of the easiest to implement for a client. Most businesses already have a list of existing clients and their email addresses. Most of these existing clients already love the business and the products that they sell. They just need a subtle reminder to come back in and visit. This can be done with a simple email newsletter that is sent out once a month. This newsletter functions to cut through all the noise of your existing customer’s daily lives and remind them why they fell in love with you in the first place. We write newsletters for our clients each and every month and the key is making sure that the email that you send out isn’t something that is just the latest promotion. It has to be something they look forward to reading because it feels personal and because it helps them. With that said, there are 4 key components to every email newsletter that we write for our clients. These 4 things are the key to why the newsletters that we write end up driving so much extra business for our clients (without their customers feeling like they are being “sold to”). The next section of our newsletter is all about teaching our audience something that will instantly impact their lives. This is something that relates to the time of year but also relates to our client’s business and their expertise. Next we’re going to slip in a little section where we talk about something going on in our business that relates to the first 2 sections that we just covered. This section is all about reminding them that the business is still there and still doing what they do every day. One of the most powerful and cost effective ways to drive new customers to your front door is to use Facebook Ads to put a great offer in front of a group of people that are likely to want it. Even though Facebook Ads are a highly effective business growth tool, many business owners out there don’t understand how to use them properly. It’s a lot more complicated than just putting an offer together and then spending a little money to get it in front of a the surrounding community. Facebook Ads work best when you put the correct offer in front of a specific audience in your community and give them a reason to take action on that offer immediately. We run Facebook Ad Campaigns for a variety of clients and we’ve found that there is a pattern to building campaigns that work. Let’s break down the 4 major components of a great Facebook Ad Campaign. One of the keys to creating an offer that works well for Facebook Ads is to create an offer that is specific to a small subset of people (and that doesn’t fit other people at all). People want to believe that the reason they are getting a deal on something has to do with something special about them. You’ll see a drastic difference in your conversions when you create offers that are highly tailored to an audience. Facebook allows you to target these people directly in your community, so it only makes sense to customize the offer to speak directly to those audiences. The secret to campaigns that really work is to get people off of Facebook to present the offer. A “Landing Page” is a special webpage that we create for our clients that allows us to present the offer and get their information without having all of the distractions of Facebook hurting our conversion. Once someone decides that they want the offer we put in front of them, and puts their information in on the “landing page”, we want to send them to a special page that “accelerates” their conversion into a real customer. To help get people to take action faster, we build a special webpage called a “thank you page” that pushes them to actually pick up the phone or come in to your business right away. Once you create a great offer and create the pages that you can use to collect leads, you need a great way to put that in front of people. A Great Facebook ad is “eye catching” and is also pointed at a very specific audience in your community. Messenger Bots are a relatively new technique in the Digital Marketing world, but one that we’ve had a ton of success with when implementing them for our clients. A Messenger Bot is a way to leverage the fact that almost everyone out there answers their Facebook Messages right away. We can build very specific campaigns that act like a “Facebook Ad Campaign” (as discussed in the last chapter), but adds in a very personalized followup that happens right inside of Facebook Messenger. What makes these so effective is that the potential customer feels like they are getting instant attention from your business when they start “talking” to your messenger bot. Let’s walk through an example of a messenger bot campaign. We start off with a simple Facebook post that advertises a great offer. This post looks just like any other Facebook post on your page. The magic happens because we’ve connect a “bot” to listen for responses on the post and to “talk back” to people who comment. One of the most powerful ways to dominate your market is to make sure that your website shows up first when potential customers search for certain keywords in your market. While the way Google works may seem random at times, your ranking for certain keywords is actually based on a formula that you can use to your advantage. This is called “Search Engine Optimization” or “SEO” for short. Ranking higher in Google for certain search terms is something that most people think is very complicated. With a little patience and some basic knowledge of how it all works however, it’s a lot easier to rank in your local market than you might think. There are literally hundreds of things you could do when it comes to Search Engine Optimization. When we’re working with our Local Clients and we launch a “SEO Campaign”, we tend to focus on a few key elements that we’ve found make the greatest impact. It all starts with making sure we rank for the right keywords and expands out from there. Let’s cover the core things that we do when we work to Rank Our Clients Higher on Google. Not all keywords are created equal. One of the core things that you need to figure out before you start optimizing your website is what keywords that you want to rank for. Once you’ve established a set of keywords that you’d like to rank for, it’s important that you optimize your website to reflect that. Making sure that your site makes use of those key phrases (without overdoing it) is a small, but important, part of actually ranking for those keywords. This is something that most of our clients have no interest in doing themselves due to the tedious and unpredictable nature of the work involved. One of the keys to being “Google friendly” is to make sure that your site is mobile friendly. This means that your website looks equally good on a phone’s screen as it does on a computer’s screen. Your site being “mobile friendly” or not can drastically affect where your site ranks in the search results. The key to doing this correctly to write content that is interesting to your core clientele but also plays well with the Google’s Search algorithms. This is something that is often overlooked by traditional SEO firms, but it vitally important as Google’s algorithms have evolved. If you’ve laid a good foundation with your site and Facebook page, it’s important to link the two up. Google is always looking to see “social signals” that are related to a topic. Getting your latest blog posts to show up on Facebook can be a big boost as it can start the process of getting your content shared by other people. We focus a great deal of effort on making sure our clients have great content and that it is something that is “share worthy” on Social Media. This ultimately helps in our effort to rank our client’s websites high in the search results for our desired key terms. I realize the amount of folks that you have contacting you every week who want to provide digital marketing services for you. I also realize that its hard to know if they can actually help you and even if they know what they are doing. I hope that this guide has given you a good foundation so that you understand what is available and what should be done in what order. I built my Digital Marketing Agency so that I could help Brick and Mortar Business owners keep up with the quickly changing Digital Marketing Landscape and to always get them a positive Return on their Investment. If you have any questions at all about how to implement any of the above in your business, feel free to contact me and just ask. No matter who you decide to use to help you build your business with the Internet, I hope this guide has been a powerful jumpstart and got you going on the right path and helps you make an informed decision when you finally do choose a provider. What Are You Working On That I Can Help With? If you (or someone you know) have some goals I can help with… please reach out to me. Click the button below and let’s start a conversation via Facebook Messenger.